Working closely with the renowned engineer Mark Whitby (father of Alex), we have designed various bridges for competitions. A bridge should fuse the practical task of crossing a body of water with the pleasurable experience of beautiful engineering and spatial design. 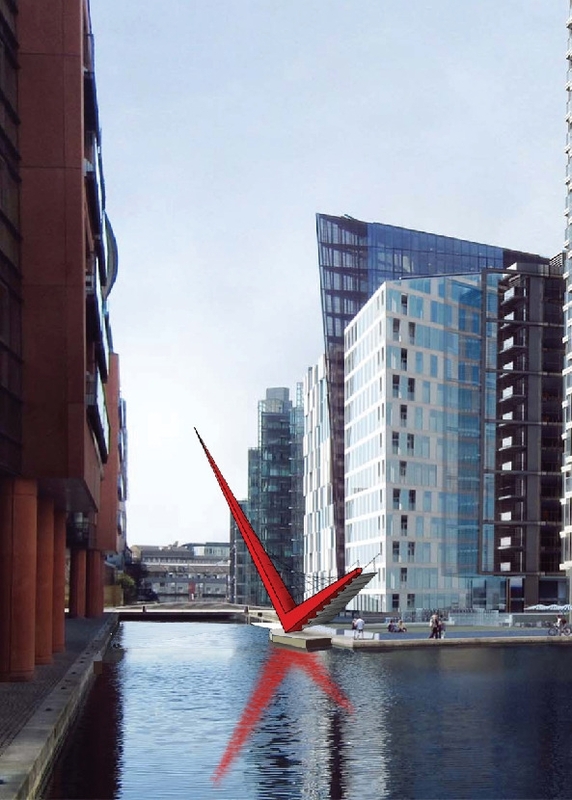 The proposals range from an opening bridge based on a sculpture by Alexander Calder for Paddington Basin, London (placed second), to a concrete cantilevered sword-like structure in Salford that creates a new civic square at its tip (long listed). The designs fuse the essence of engineering elegance and innovation with a keen understanding of scale and how the structures are situated within the urban setting, both as crossing points and as spaces for people to stop and admire.